Cargo Insurance – John S. James Co.John S. James Co. 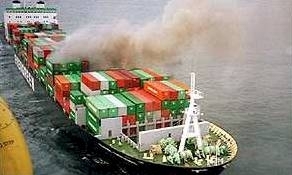 Cargo insurance is a critical, but often overlooked aspect of the international transaction. Through our relationship with Roanoke Trade Services, a leader in the international insurance industry, we provide our clients with the best coverage possible at extremely competitive rates. Our combined expertise allows us to minimize your risk in your international transactions. Our close relationship with our insurance provider allows us to secure the most comprehensive coverage for your cargo at the lowest rates possible. In the course of international transportation, any of a number of events may happen that could diminish the value of your cargo. From pilferage, to water damage, to the declaration of General Average – cargo is always at risk. We offer multiple levels of coverage that protect your firm against the threat of loss from most all adverse occurrences. It is our desire to educate our clients as to the costs and benefits of insuring their cargo. We offer in-house seminars in conjunction with Roanoke Trade Services to help make you aware of the exposure your firm may face in the event of a loss, and how this exposure can best be minimized. By allowing John S. James Co. to issue your insurance coverage along with your transportation documentation, you save money by limiting the chance of errors and avoiding costly repetition of document preparation. Also, allowing us to handle your insurance speeds the processing of any claims filed, as we maintain close access to all of your relevant documentation.